A public memorial service was held Mon., Oct. 19, at First Baptist Church Waco. You can view the service in its entirety HERE. It is with great sadness that we announce the passing of our founding dean, Dr. Diana Garland. Diana fiercely battled pancreatic cancer for six months and lived life to the fullest during these last months of her life celebrating the birth of a new grandson and her 45th wedding anniversary with Dr. David Garland. During this time, the Garlands were able to spend their time in Colorado where Diana marveled at the beauty of God’s creation and the bounty of God’s love. Until the very end, she shared her faith and hope with everyone around her. Diana came to be a part of our beloved School of Social Work at Baylor 18 years ago. She was an amazing mentor, teacher, scholar, and friend, and she will be greatly missed. Although we mourn deeply, we can still smile as we feel her presence in these halls and whisper her name with each mention of the Diana R. Garland School of Social Work. "Baylor University has lost a cherished, fiercely dedicated and visionary servant leader in Dr. Diana Garland, the inaugural dean of the School of Social Work which now bears her name," said Baylor President and Chancellor Ken Starr. "Dean Garland prayerfully and powerfully guided the School in its growth from the very beginning as a fledgling department to its standing today as an independent, nationally recognized school known for research excellence and unwavering Christian commitment." Garland earned her undergraduate, master’s and doctoral degrees, all from the University of Louisville in Kentucky. For 17 years, she served as professor of Christian family ministry and social work at The Southern Baptist Theological Seminary in Louisville. She also served as dean of the Carver School of Church Social Work and director of the Center for Family Ministries. Prior to teaching, she was administrative director of a pastoral counseling center. Together, Diana Garland with husband, David joined the Baylor faculty in 1997. In 1998, Diana Garland was named director of the university’s then-new Center for Family and Community Ministries. She became chair of the social work department in 2001 and, in 2005, was named inaugural dean of the School of Social Work. During the following decade, she championed the School’s rise to national and international recognition, while maintaining its steadfast mission to prepare social workers in a Christian context for worldwide service and leadership. 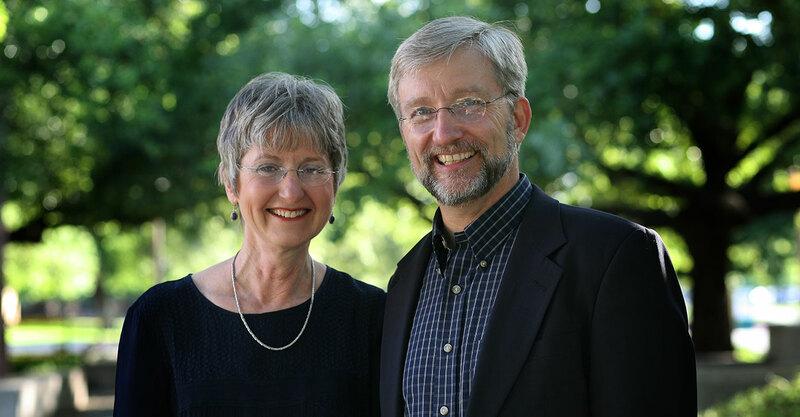 Diana and David GarlandSocial work professor Preston Dyer hired Garland to help Baylor move the undergraduate social work program to a full-service and nationally recognized School of Social Work, which admitted its first Ph.D. cohort in 2013. Garland was author, co-author or editor of 21 books and more than 100 academic articles. Some of her literary works included "Flawed Families of the Bible: How God’s Grace Works through Imperfect Relationships," "Inside Out Families: Living the Faith Together," "Family Ministry: A Comprehensive Guide" and her latest book, "Why I Am a Social Worker: 25 Christians Tell Their Life Stories." She had served as editor of the Journal of Family and Community Ministries since 1993. Garland also gave significant service to national social work organizations. She served as a Board Member of the National Association of Deans and Directors of Social Work from 2009 to 2014 and Councilor for the Council on Social Work Education from 2003 to 2013. She served multiple terms as president of the North American Association of Christians in Social Work. 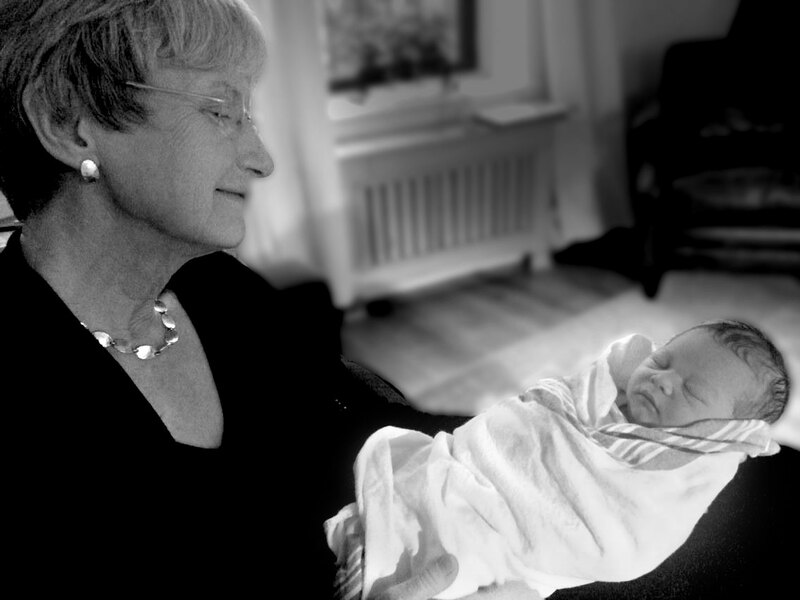 Diana and grandson MatthewShe also was first lady of Baylor University when David Garland, then dean of Truett Seminary, was named interim president in 2008. She served in that additional capacity until 2010. Garland is survived by her husband, David; daughter, Sarah, and her husband, Matthew; son, John, and his wife, Abby; three granddaughters, Aurora Grace, Azalea Faith and Tess Moran; and grandson, Matthew Edward. I have worked for Diana for almost 15 years and I am so grateful for the way she took me under her wing and modeled faithful, servant leadership for me. She was my dean and my mentor, and she was my friend and inspiration. She expected a lot from me, she gave a ton of herself to me, and most importantly, I always knew she loved me and was proud of me. I hired Diana Garland in 1998 to help us move the Baylor undergraduate social work program to a full-service (BSW, MSW, PhD), nationally recognized, School of Social Work. She became Dean of the school in 2005 and we reached that goal in 2013 when we admitted our first PhD cohort. I’ve known many people who had a new idea a minute but few who had the ability to put those ideas into action. Diana had so many good ideas that sometime I got a headache just hearing them, but she was one of the few that could take an idea and carry it to fulfillment. She was one of a kind in many way: talented social work; creative teacher; excellent writer and researcher; strong administrator. We were colleagues and friends for close to 20 years. We didn’t always agree, but we had mutual respect and always had each other’s back. I already miss her. How blessed we were to have known her and be known by her. We will keep the vision alive. I read the posts of our graduates and realize anew that the ripples of Diana’s influence spread around the globe. The depth of her influence informs wisdom of social workers and practitioners in agencies and congregations and in all the places where hurting people turn for help. The loss of Diana is both personal and professional. That is about who she was...personal friend and professional mentor...to all who knew her. I want to say to her one more time, we are committed to continuing the good work we started together. WACO, Texas (Oct. 13, 2015) - A public memorial service for Diana Garland, founding dean and later namesake of Baylor University’s Diana R. Garland School of Social Work, will be held at 11 a.m. Monday, Oct. 19, at First Baptist Church of Waco, 500 Webster Ave.
WACO, Texas (Sept. 22, 2015) – Baylor University is mourning the passing of founding School of Social Work Dean Diana R. Garland, who died Monday, Sept. 21, in Colorado following a courageous battle with pancreatic cancer. Two who have provided so much for Baylor programs--Diana and David Garland--continue to lead by example as they transition from dean and administrative posts at the University. WACO, Texas (April 24, 2015) – Baylor University’s Board of Regents has voted to name the university’s School of Social Work in honor of its inaugural dean, Diana R. Garland, Ph.D., who has announced that she will step down from her position June 1 and return to faculty. WACO, Texas (April 15, 2015) – Baylor University Provost and Executive Vice President David E. Garland, Ph.D., has announced that Diana R. Garland, Ph.D., inaugural dean of the Baylor School of Social Work, will be stepping down from her administrative post effective June 1. Following a national search, Baylor University Interim Provost Todd Still, Ph.D., has announced the appointment of Jon E. Singletary, Ph.D., as dean of Baylor’s Diana R. Garland School of Social Work, effective June 1. Singletary, who has been serving as the School’s interim dean since June 2015, succeeds the School’s inaugural dean and namesake, Diana R. Garland, who passed away in September following a courageous battle with pancreatic cancer. Still and Singletary are quoted. “It is an honor to continue the legacy of our founding dean, namesake and my mentor, Diana Garland, while also partnering with our faculty in a new way as we prepare social workers to care for others in a hurting world,” Singletary said. Article about the passing of Baylor School of Social Work Dean Diana R. Garland, former dean of the Carver School of Social Work at the Southern Baptist Theological Seminary in Louisville, who died Sept. 21 of pancreatic cancer.Baylor President and Chancellor Ken Starr said in a statement: “Baylor University has lost a cherished, fiercely dedicated and visionary servant leader in Dr. Diana Garland, the inaugural dean of the School of Social Work which now bears her name. Dean Garland prayerfully and powerfully guided the School in its growth from the very beginning as a fledgling department to its standing today as an independent, nationally recognized school known for research excellence and unwavering Christian commitment." VIDEO LINK: Baylor is remembering Diana Garland, beloved dean and well-known advocate for the School of Social Work that now bears her name. Interviewed are Jon Singletary, Ph.D., interim dean and holder of The Diana R. Garland Endowed Chair of Child and Family Studies, and Elizabeth Ligawa, B.A. ’03, a graduate student seeking a dual degree in theology and social work. "Diana had an amazing impact on this school that will never be forgotten. So much of who we are today is because of who Diana was in this place," Singletary said. VIDEO LINK: Baylor is remembering Diana Garland, a beloved part of the university community, dean and well-known advocate for the School of Social Work that bears her name. Interviewed are Jon Singletary, Ph.D., interim dean and holder of The Diana R. Garland Endowed Chair of Child and Family Studies, and Elizabeth Ligawa, B.A. ’03, a graduate student seeking a dual degree in theology and social work. "She valued you, but more than that, she valued you, she wanted you to know that she valued you, and that you were important,” Ligawa said. Diana R. Garland, Ph.D., inaugural dean and namesake of Baylor’s Diana R. Garland School of Social Work, died Monday, Sept. 21. 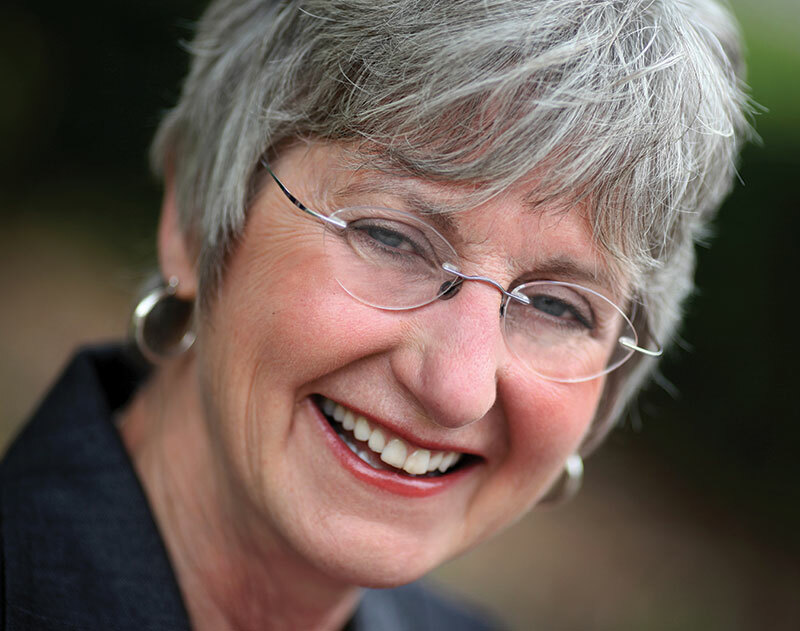 In this article, originally written and published by Marv Knox of The Baptist Standard, friends and colleagues of Dean Garland remembered her by sharing stories that illustrate her devotion to integrate faith and social work and her accomplishments in advancing the profession. In lieu of flowers, the family has asked memorials be sent to the Diana R. Garland Endowed Scholarship or the Diana R. Garland Endowed Chair of Child and Family Studies, or to the Garland School of Social Work Excellence Fund, One Bear Place #97320, Waco, Texas, 76798. Share your story about Diana and how she influenced your life.